This came a little unexpected. 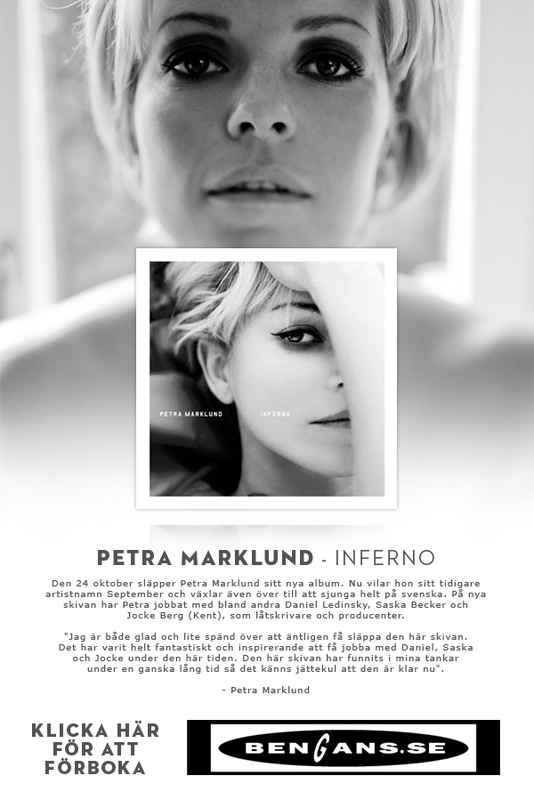 It seems the new album by Petra Marklund will not be called “Så Mycket Svartare”, as earlier reported. “Inferno” will be the title! Cover art has also been released; all what’s left now is the tracklist. And if that’s not enough, it also appears that, next to the CD version, an LP version will be released as well. A mail sent to me by Bengans.se includes the banner below (other banner taken off Bengans.se). 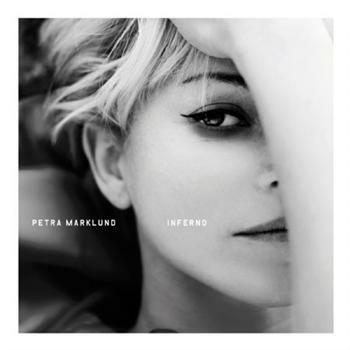 Petra’s upcoming album “Så Mycket Svartare” has been added to cdon.se, a Swedish webshop. It appears the new album will be released under Razzia Records, which makes sense as ‘Razzia’ can be seen on Jocke Berg’s guitar on an early press photo. There’s also an update on the album on the label’s official website, razziarecords.se. View “Så Mycket Svartare” on cdon.se. More info on the new album: Petra describes her new sound as Coldplay, Florence + The Machine, and Depeche Mode. What to expect more is still unknown, but as she’ll also be working with Jocke Berg from Swedish rock band Kent (as earlier reported), it seems Petra’s trying new music styles. I’m getting curious now! You?